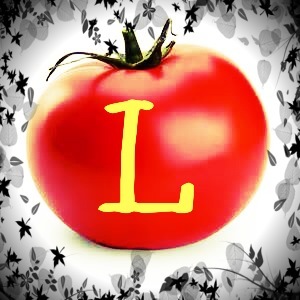 How can a tomato be liberating? Here are some things you must do to achieve liberation. A growing medium is required. Nothing fancy. Some dirt. But the dirt must be rich and fertile. You can obtain this dirt by purchasing it or even better, creating it. Rich soil is obtained by feeding it with organic matter such as kitchen scraps, grass clippings, manure, leaves, etc. Basically all that stuff that would normally be discarded is thrown into a pile and left to do what it does best which is break down and create a pile of rich, organic soil. So sometimes a lot of crap can become the foundation of growth. You may need to turn it occasionally but otherwise there is very little that you need to do. Now that you have your soil, you need seed. There are many choices on the market and you can decide which variety you would like to grow. It could be an heirloom, a hybrid, big tomatoes, cherry tomatoes, grape tomatoes, pear tomatoes, Roma, and many more. You may start your seed indoors and transplant into the garden once it is a seedling and the frost danger has passed, getting a head start on growing. Or you may wait until the right time and sow directly outdoors. The choice is yours. Once the seed is planted it needs water, sunshine, and warmth. It must be nurtured. If these things are not provided you risk losing your plant. Or it may never germinate at all. If you have provided the proper conditions you will see a sprout soon. This is always very exciting because you may feel a sense of pride and satisfaction at successfully germinating a seed although, you did not germinate the seed but rather provided the proper conditions for it to do so. As the little sprout grows you may become even more diligent in caring for it. You really want this little sprout to succeed! You may not even be thinking about the tomato at this point, just this little green miracle that you want to grow. The days go by and the little sprout has dropped its ‘baby’ leaves and is now producing mature leaves. You realize that this tiny plant will be large one day and will need proper support so you create a trellis around it. It is hard to imagine it ever becoming so large as it seems so tiny and fragile now but you prepare anyway because you are determined to see this little plant reach its potential. This growing period may seem slow and you may become impatient but you cannot rush mother nature. You may check on it daily and as time goes on you may slack off a bit. This is where it could take a turn for the worse. It may be a boring phase where it seems very little is happening. Sometimes mother nature is providing the right amount of water but she cannot control the pests or the weeds that may over take it. If you neglect it you may find something has consumed it or you lose it among the fast growing weeds. This is a time where all your previous efforts may become null and void. However, if you continue to nurture it, even when it seems your attention is not needed, you will be able to handle any threat immediately. It seems like forever ago but you check on your plant and to your delight it has flowered! Things get exciting again. You have reached a new level. The daily checks ensue as you anticipate little green fruit any day. You may need to feed it at this time. A little extra TLC perhaps. By now, you have mastered the monitoring of pests and weeds. Weeds are actually beneficial when kept in check. When you pull the weeds you aerate the soil around the plant which keeps the soil from becoming compacted and smothering. Before you know it, your plant is nearly as tall as you are. It is beautiful, strong, and healthy. Good thing you provided support around it. It is heavy with fruit. You anticipate the day one of them ripens into a bright, red tomato, and you contemplate the many ways you might prepare it. And so the big day has come – your first ripe tomato! You can hardly wait to consume it yet you handle it so carefully. You are proud and appreciative. You grew this tomato and have a great sense of satisfaction. On the contrary, you did not grow that tomato. You provided all the conditions for it to grow and thrive. It may have grown just fine without your involvement but it could not have existed if the seed was never sown and that is what you did. You sowed the seed which is always the necessary first step towards liberation. And the best part is, the plant is still loaded with fruit. Nothing, however, is quite as sweet as that first tomato. This entry was posted in Uncategorized and tagged liberation, sowing seed, tomato. Bookmark the permalink.